Are you looking for a capable but small SUV? It is time for you to come to Laramie Peak Motors and check out the popular EcoSport. This compact SUV from Ford has all of the capability features that you are seeking. When you are stopped at a traffic light in Wheatland, WY, your vehicle does not have to be running. Ford Mustang has long been one of America's favorite performance cars. Our team here at Laramie Peak Motors wants you to know one of the surprising reasons why: its new active valve performance exhaust. The 2019 EcoBoost-equipped Mustang has an autonomic response. Our ancestors long ago learned to react fast to powerful sounds that warn of potential danger. If you want to live an adventurous lifestyle in Wheatland, WY, you need a reliable pickup truck. Having a mid-size body, the 2019 Ford Ranger allows you to enjoy such a lifestyle. You can ask Laramie Peak Motors about the three editions that are available for this all-new vehicle. A 4x4 drive system gives this Ford pickup truck the ultimate versatility for off-road driving. There are vehicles that are designed for heavy workloads. 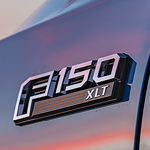 One such vehicle is the 2019 Ford Super Duty vehicle. It has been designed with some high strength materials so that it can actually take on a lot of the harder jobs that are needed. You will be amazed at the features that help it carry heavy loads. When you’re at Laramie Peak Motors, we can show you all of the interior features of the Ford Focus. There are some great reasons to drive around Wheatland, WY in a focus, especially with SYNC and other technology to add comfort to your trips. Fine quality is evident as soon as you sit inside of the Ford Focus. Ford Escape Technology: Check Out These Amazing Tech Features! The Ford Escape offers a technology package that we at Laramie Peak Motors love to discuss with our clients! In Wheatland, WY, there are many features included with the Escape that will assist you in a smart and comfortable trip. The Lane-Keeping System and the FordPass Connect with Wi-Fi hotspot are two of the top technologies that make driving this popular crossover a pleasure. We've all heard the saying 'the future is now'. With Ford Transit Connect Technology, you can experience the future now by visiting Laramie Peak Motors. Among the dynamic features available on the Ford Transit is the FordPass Connect option which allows up to 10 passengers to connect to a 4G LTE Wi-Fi hotspot. The Ford F-150 has a robust powertrain that's engineered to handle urban settings and the wilderness. When you browse the showroom at Laramie Peak Motors in Wheatland, you'll see seven trims of this American pickup truck. 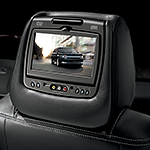 The Ford Flex has smart technology that scans the surroundings for any situations that might prompt a quick response. Available in three trims, this full-size SUV offers class-leading safety features with sophisticated sensors and alert systems.